Edit: The TX emulation sketch is now confirmed to function with the T300 base. This sketch can be found and downloaded from Taras' blog part 3 in the link below. Thanks for looking and as always, "Keep Driving!" 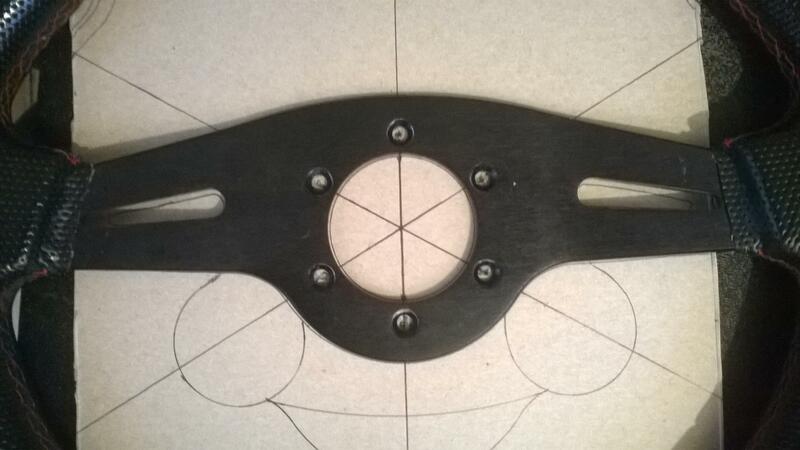 Great post Seth ,and well done one completing you're wheel plate mod too ,,, this is just the info i've been looking for ,,,cheers dude. 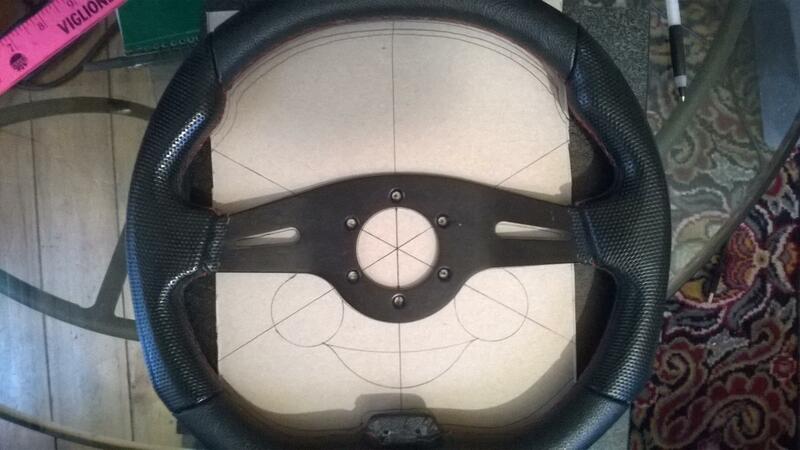 CorvusCorax: Thank you, I actually have plans to purchase an F1 rim to see if it can be emulated. 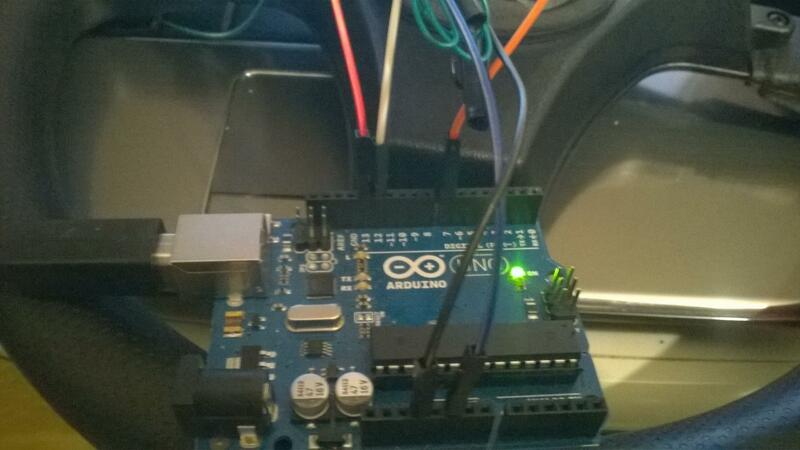 I would have to work with Taras (who I added links to in the OP) as he has much more knowledge in Arduino than I do. IIRC I read or heard somewhere that the F1 rim does not use shift registers it uses a micro chip. I also plan on attempting to emulate the GTE, T28 or T300 rim as this would give the option of having custom paddle shifters on the button plate that have a dedicated input. You could use custom paddle shifters with the GT rim emulation but you would have to give up two buttons which would be mapped as paddle shifters. 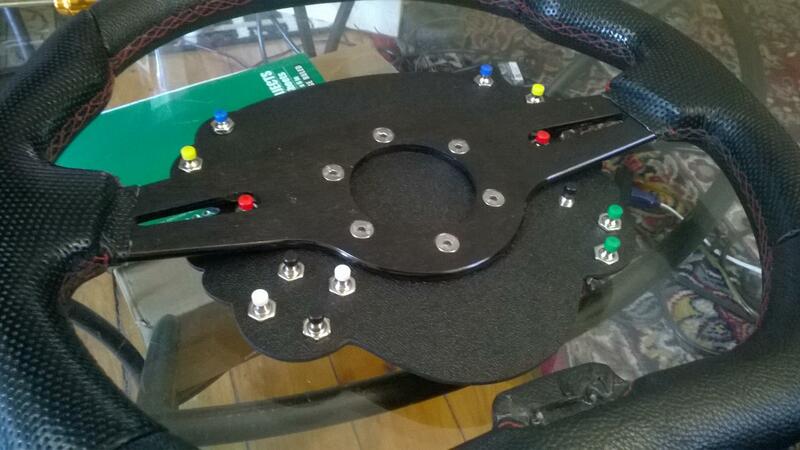 stevemontuno: Thank you very much, I am quite happy to have a working button plate for the T500. I play a lot of PS3 games (mostly GT6) and this mod is just awesome to have. I haven't had an aftermarket rim with working buttons since I used my G27 which I modded with buttons on an aftermarket rim. 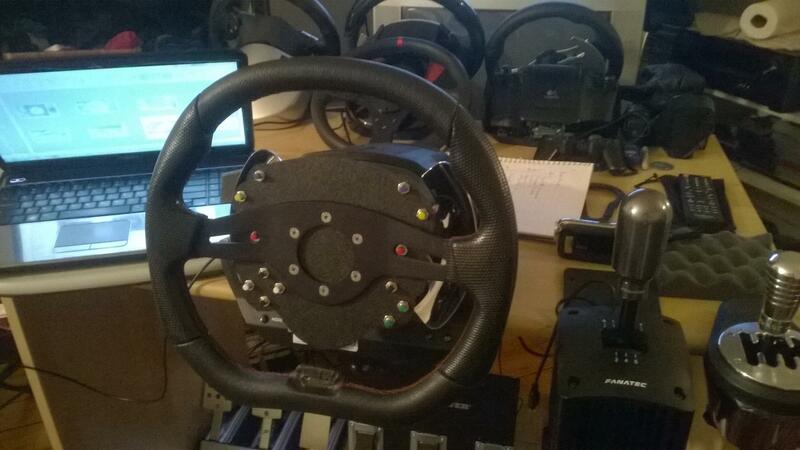 Aside from my G27 I have two older fanatec wheels (CSR & PWTS) which I had aftermarket rims mounted to but no buttons. Now that I have the T500 I am glad I have found a way to make this happen. As soon as I read through Taras' blog I contacted him and we began going through the necessary steps to achieve a working GT rim emulation sketch. I am always happy to help if you or anyone else decides to undertake this project for themselves. 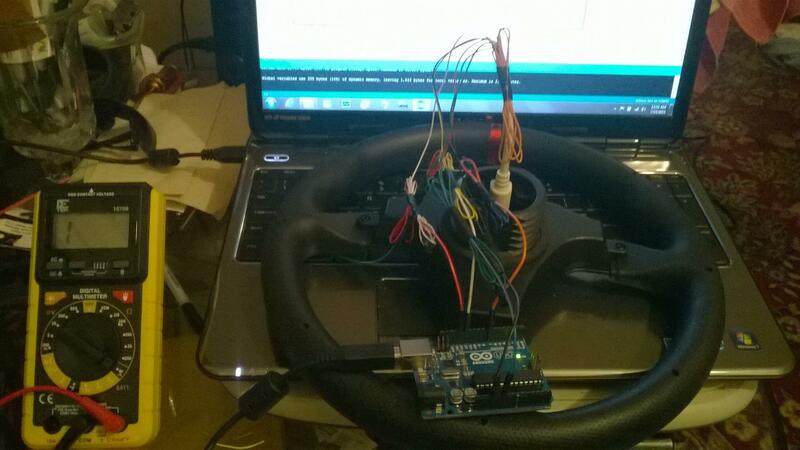 Hey Seth ,,, For the T300rs ,Would all i need to do is replicate Taras's TX version of the Arduino mod seeing as the TX wheel works with the t300rs ,paddle shifters and all,,,,? This looks fantastic Seth! Like others this is exactly what I've been looking for! I've spent the past few weeks researching and figuring out the best way to build a custom wheel plate for my new omp rim. My first plan was to use a DSD controller and use the rim for when I'm racing on my pc, however i've been spending more time recently on PS4 due to all my sim friends been there so only having it for pc would be pretty crap. So I began looking at ideas for making it console comparable too. My first idea was relatively simple; using a keyboard controller with external usb plugged into the ps4 for use of the buttons in game (Project Cars recent update added usb keyboard support). I posted this idea on reddit and someone directed to me using an arduino or TeensyLC to emulate a keyboard for this purpose. Both solutions weren't ideal...then i stumbled upon your post and subsequently Taras's blog. This is by far the best solution I've come across and will definitely be doing this instead! A quick question if you don't mind? (I'm relatively new to electronics and completely new to arduino). The din connector: can i just buy a 6 pin male din cable, cut it and solder the correct wires either directly to the pins on the arduino or to dupont connectors and connect this way. 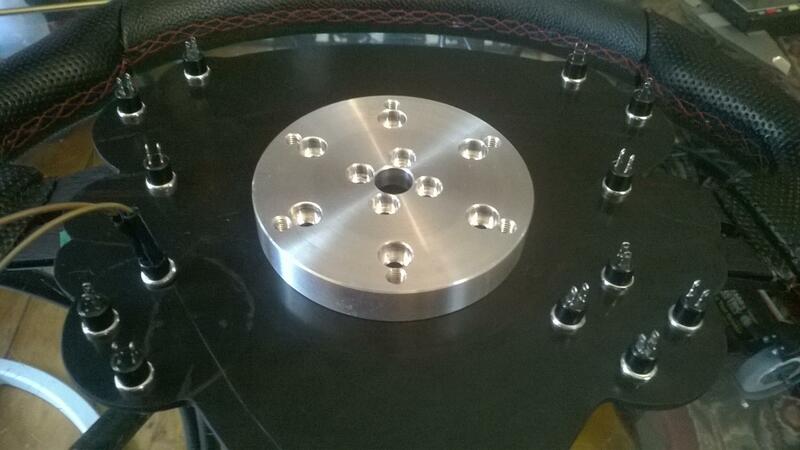 I want to keep my original rim for open wheel racing so don't want to use the din from that. Anyway, great stuff man and thanks for sharing! Stevemontuno: The T300 I cannot guarantee unfortunately. I have not had a t300 to test with. Given that all of the rims are compatible you would think that the emulation would work as well however this was not the case with the TX emulation on the T500 base even though the TX rim is compatible. When testing with the TX emulation on the T500 several buttons would be pressed all the time. I would like to get a working emulation for the T300 so we can have sketches to offer for all Thrustmasters current wheels but without a test platform or someone with a T300 and a little bit of Arduino knowledge to go back and forth with to get a working emulation it is tough. The reason that the TX emulation did not work is because the wheelstate code for the TX rim vs the T500 when no buttons are pressed is different. It is basically bytes of binary code data, the TX rim uses three bytes or 24 bits. For the TX rim the first 7 bytes are always either 1 or 0 and do not change. The next 17 bits will each be ones, but change to 0 when the corresponding button is pressed. The T500 rim only uses two bytes (only 13 buttons). Because the t500 gt rim uses bits in the first byte for button presses that are not used on the TX, the base thinks that those buttons are being pressed allways because in the TX sketch those bits are always 0. 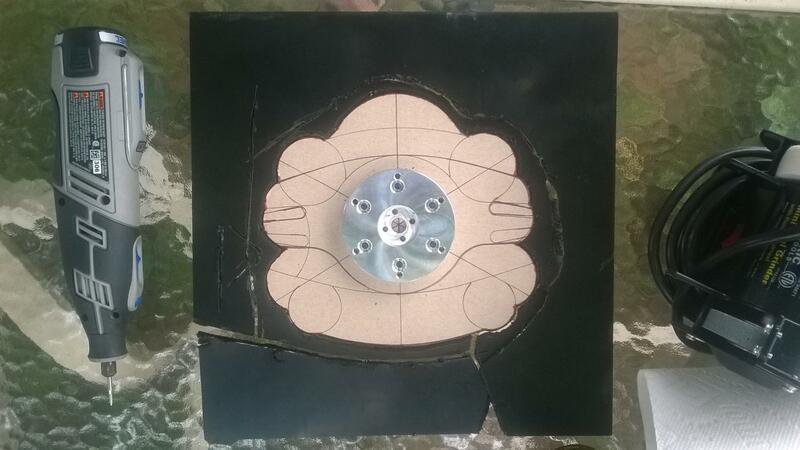 This is why I had to work with Taras to get a properly working T500 sketch even though the TX rim works on my base. Sorry if that does not make sense, I can explain much better if we talk on the phone. Basically each rim has its own set of binary code when no buttons are pressed, this is how the bases recognize which rim you are using. Without having the proper code for the first few bits that aren't used by either rim we have tested with. I will say it shouldn't be too difficult to get a working code for the T300, just a bit of trial and error. If you can download the wheel reader sketch (the one for the TX is in Taras' blog and I cam send you the wheel reader sketch for the T500) and see if you can read all of the button presses that would help quite a bit. We would know what bits are used then we could get close to a working sketch. Than it will just be a matter of making sure there are no data shifts as there are with the T500. I would he happy to talk to you and walk you through the process. The TX sketch may work as is because the TX and T300 are both very similar. The T500 is different where as it shifts all of the bit data one position over when a button is pressed. I'm not sure what that is all about but the T300 may not do that since the Tx doesn't shift anything during button presses. I actually bought a TX rim the other day to try with my base and it does in fact work with all buttons, it is recognized as the GT rim and the additional buttons are simply duplicates of the base buttons. So it would appear that all thrustmaster wheels use the same number of total buttons asside from when attached to the F1 rim. Also, the wheelbase is always reading 8 bytes of data, even though they aren't all used. If you would like to pm me I can give you my phone number. I can explain all of this verbally way better than I can trying to type on my phone right now:). Like I said I dont think it will he too difficult and the TX sketch may very well work as is. I would love to have a working sketch for the T300 to offer to the community and anything I cannot figure out we could likely refer to Taras for. Steve-s3: You basically just need any 6pin DIN or PS/2 adapter. I actually purchased an male to female adapter, that way I could cut it in half and adapt one side for the base and the other side for the original rim reading. I think I paid about $5 on eBay for two. I was able to cut and splice them but of course the colors do not match so I used a Multi Meter to test which pins connect to which wire. I then soldered the proper color wires for easy plugging and testing. 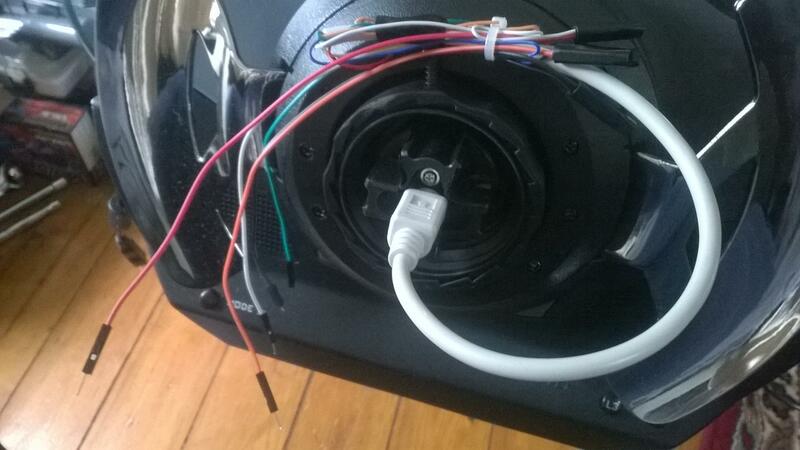 So yes you can cut up and old PS/2 or 6pin DIN plug and make your own if you don't want to sacrifice your original. Just make sure you match the proper pins to the proper colors according to Taras' diagram in his blog. If there is anything I can do to help feel free to ask. I was new to Arduino at the start of this project as well. Thanks a lot for the reply Seth. Ah this is great then! I've been dying to do something like this for ages and didn't think it would be as straight forward. Again thanks a lot to both you and Taras for making all of this available for folks like me. It's really appreciated dude. 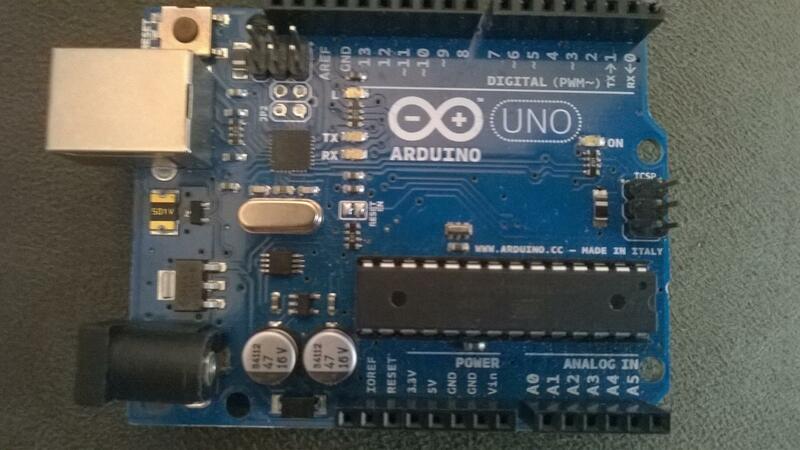 One more question: Do I have to buy a genuine arduino nano or will one of the eBay/amazon copies do the same thing? No problem at all. Seth Francis Sim Racing is something I've just started so much nce I came across Taras I thought this would be a good way to get the name out there and help the community at tye same time. As far as the off brand Arduinos I honestly dont know. I bought two of them on eBay for about $10 each and they are the authentic ones. I plan on replacing mine with a nano for the smaller size and I plan on getting another name brand Arduino. 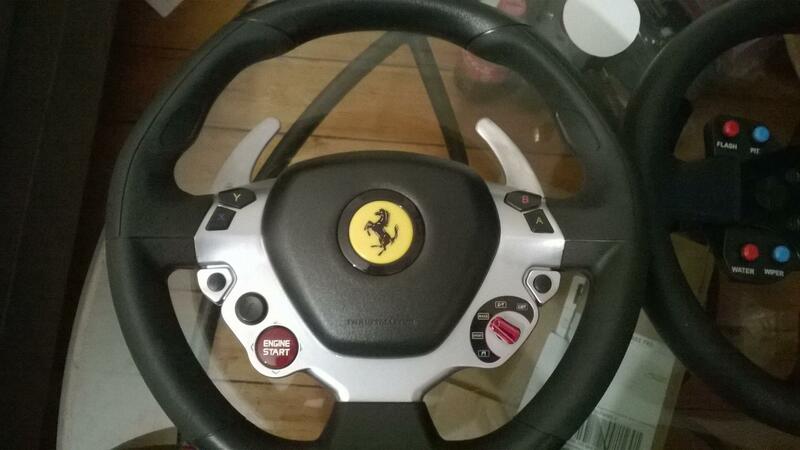 I just worry about Chinese electronics, the real ones are made in Italy and are very high quality. Nice one Seth ,,,Im away on holiday for a week in a couple of week's so as soon as i get back i'll order all the gear and get cracking ,,,, Cheers dude. Stevemontuno: Sounds good, let me know about any help you may need. Custom Thrustmaster TX replacement circuits are also now available. The circuit is very small at 50mm & 35mm, Available for $55 and comes with vertical or horizontal pins. It's really great to see two solutions available for this very popular platform. Custom Thrustmaster TX replacement circuits are also now available. They cost $55. The circuit has been designed and tested to provide exactly the same signals as the TX wheel, which is fully compatible with all Thrustmaster base solutions. We believe it is fully compatible to consoles, Darin has offered to test because he owns these consoles. You have made a great start with the build, I found every button plate I have built I get a little better! Good luck DIY is fun! I also purchased both a GTE and TX rim tonight on an ebay buy-it-now for only $70 with shipping, for both! I just bought a TX rim for $20 with shipping a couple weeks ago that I salvaged the adapter and harness out of so I'm not sure what I'll do with another but the GTE rim is worth $70 to me. Plus its always nice to have extra authentic Thrustmaster quick release adapters I will be reading the GTE rim when it comes using the Arduino serial monitor so I can get the button-to-bit layout and possibly build an Arduino sketch to emulate the GTE rim. Of course I will update this thread with all of my progress once I begin any future button plate projects. Hey guys, not too much new lately. The TX circuit has arrived however I have not had a chance to build it into a wheel yet. 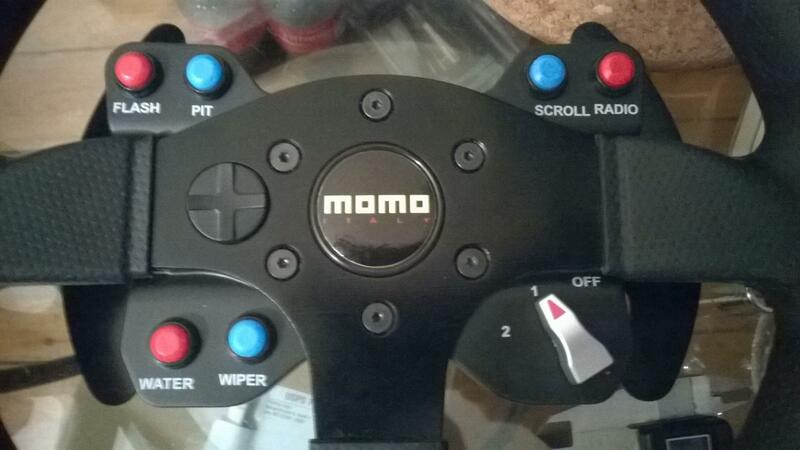 I plan to make my next wheel with paddle shifters, toggle switches, some kind of d-pad or 4 way thumb stick and possibly encoders. 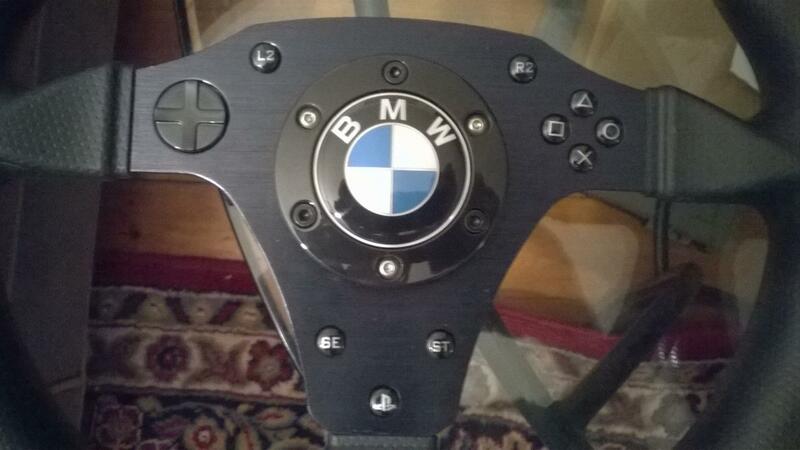 I do not plan on basing the wheel off of any particular real model but I am open to suggestions, particularly BMW . 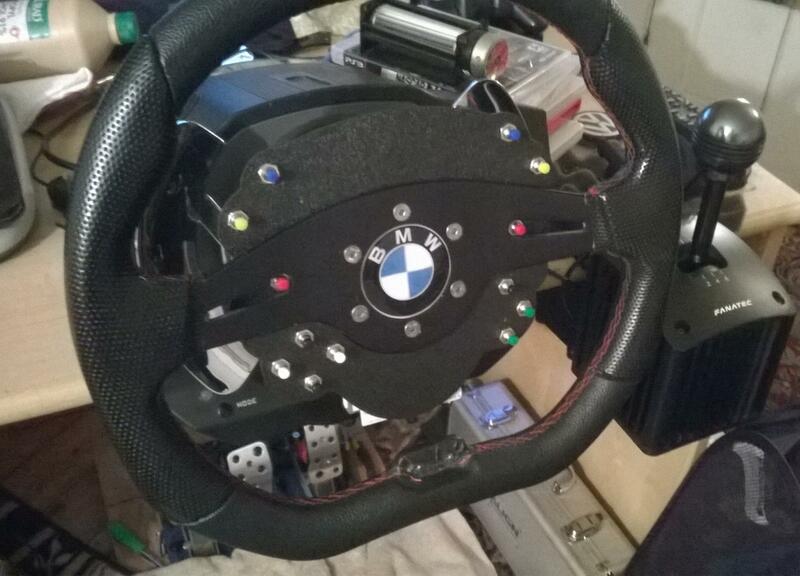 I am currently in the process of building a rig that I can mount my M3 dash, center console and cluster to. I have chose PVC for my first rig build, so we shall see how it goes. 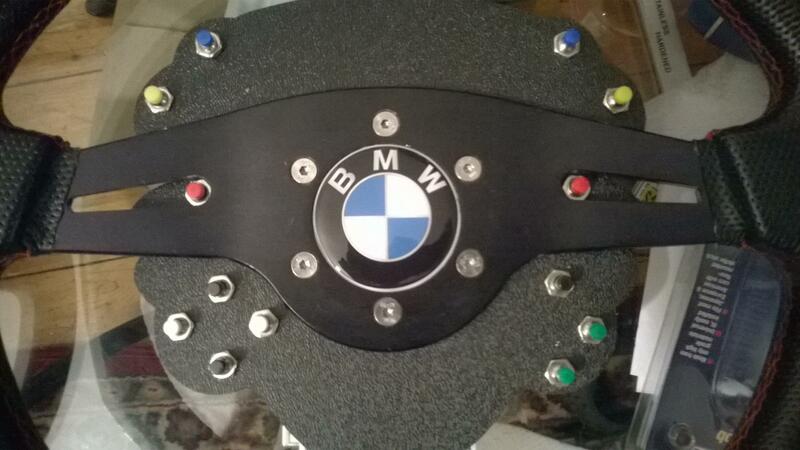 I recently ordered some BMW emblems in the correct sizes for my current button plate/aftermarket wheel as well as for the original 12" T500 rim. I also picked up a GTE rim and two TX rims for spare parts . I will be using either Arduino or ProGauge to operate the gauges and I will create a seperate thread for that project once it is complete. 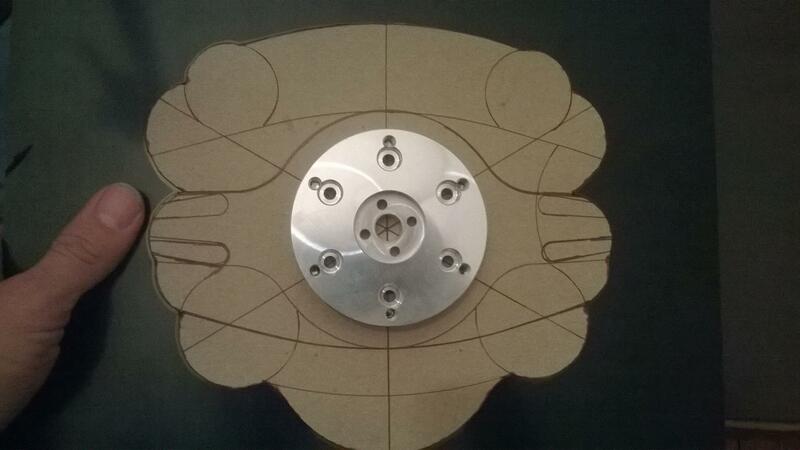 Thanks for looking and I will post updates on the progress of my next button plate as soon as I am able to begin. Here are some pics of the BMW emblems, GTE rim and one of the two TX rims I recently picked up. 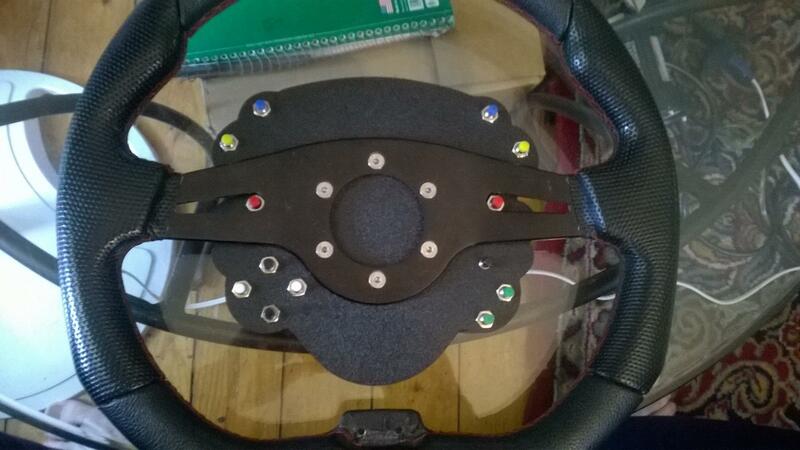 Any news on replicating the GTE and/or the F1 rim with the Arduino Nano? I would prefer the F1 since it has lots more functions available; I wouldn't mind having all my future rims recognized as the F1 rim, as long as I had the right rim for the job with the most available button options. I own a TS base with a GTE and a F1 rims, and I just ordered a Arduino Nano board, I think it's genuine. So if my help is needed in getting those readings, I'm here! I hope my post will revive this thread ... I don't know why but I have a feeling that this subject is kinda taboo ... it dies everywhere ... please tell me otherwise! hey, yes the thread has died off a bit here. There is more about this in the gtplanet T500 thread (last couple pages). I did buy a GTE rim for the purposes of reading it, however, if you have a tx base there is already firmware available for the Arduino that will emulate the original TX rim (minus one button I think). The reason I haven't read the GTE rim yet is because I have been very busy lately. 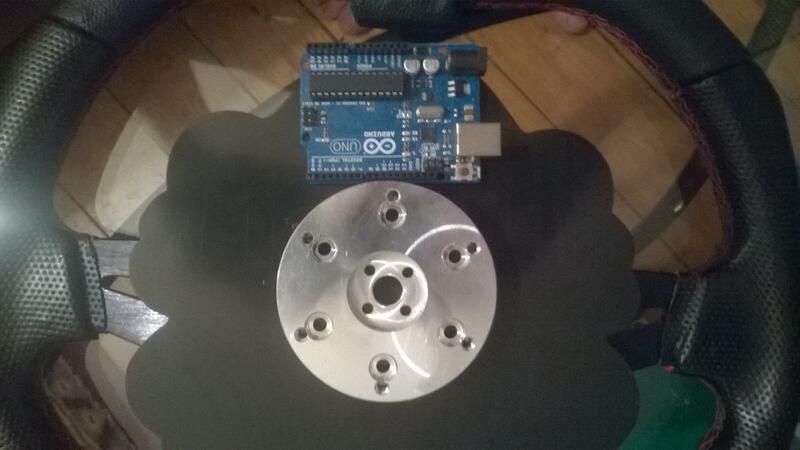 I am happy to help in any way I can, I am not the most educated with Arduino but I do have some knowledge as well as the firmware for the T500 base and TX base original rims. As for the F1, that would be more difficult. The F1 rim uses a micro chip and I wouldn't know where to start with emulating. The F1 rim also acts as a separate USB device (even though its not hooked up separate) in order to transmit all those inputs. I could be wrong here but I think that's how it works. I can do my best to help though. What base do you use? Nevertheless I find this theme fascinating, and of course, I would like to be able to build/buy new wheels, pro quality, with the minimum of buttons available without having to have an USB cord hanging around. Yeap in my case, it's not a console compatibility problem, is really just the loose cord (I hate it, and my guess is it will be trouble sooner or later with the start procedure of the Thrustmaster wheels. 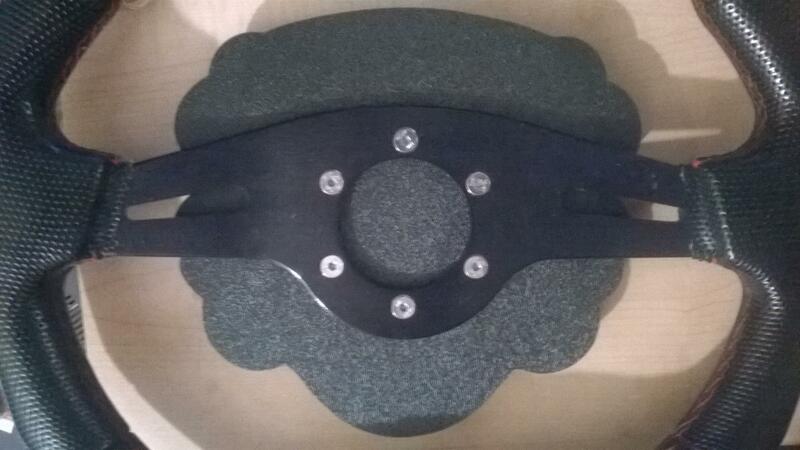 From what I've seen that is not a problem in the DIY OSW wheels, since the start procedure (or what they call phasing, just moves the wheel a notch). The base I have is the TS (PS3/4 compatible) so it might be somewhat different than the TX. Still I'd like to try the firmware you mentioned as soon as I receive the Nano board. Would the wiring be the same as in Tara's blog? Another thing you mentioned, which is very interesting is that the F1 has a micro chip and acts as a USB standalone. I'm not so sure about the USB part; if it was true shouldn't windows recognize it as another device? Well, now that I think of it, I'm not even sure it doesn't. I will check this later today. Because if it does, that would mean that there is some way (binary code, or otherwise), that 4 wires of the connector would be used as an USB pass-through signal. I don't even know if this is possible, but if it is, and we could emulate that signal, we could even use any USB board (an SLI board for ex.) maintaining the same, original Thrustmaster quick release connector. I'm not sure I'm making any sense, but those were my logical conclusions. Please advise. Yes my main reason was I hate the coiled USB look as well. Now, you said you have a TS? I think you mean either T300, or T500RS. This matters as I haven't been able to test my firmware with the T300 (dont have one to test). Also, there is only 1 unused wire in the harness, this wire is not used with the regular rims, idk if it is used with the F1. Now if I remember correctly the F1 rim has two modes. One allows the regular number of buttons, the other allows all of the inputs to be mapped. I think when in the full mode it is recognized as a separate device. I could be wrong though, I have to look. People have run their own wires through the center of the axle to run a regular button board, but then you have to figure out custom wiring and quick release plug. 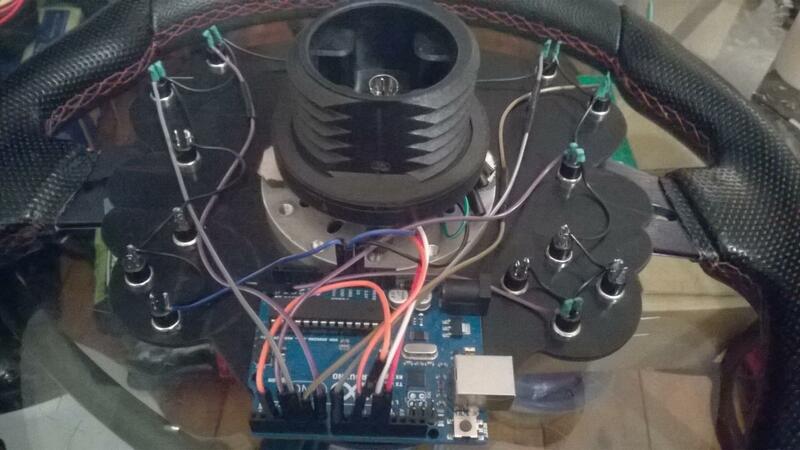 I think the most buttons that can be mapped with arduino currently is 17 or 18. This is because of a lack of outputs on the board iirc. Taras mentions this in his TX emulation video. I also have one of the henrick TX emulation boards, I think I got one of the first ones. I have not tested it to see if it works with my base yet but I can expedite that if you are interested in using that board. I also have a GTE rim I could test but since the TX rim has the same amount of buttons there isn't a benefit (assuming the TX emulation works on the base you have). I will say the TX Arduino firmware does not work on the T500 base, but it may work with the T300. If you are not sure what wheel you have, there are a couple ways to tell. If it has big silver paddle shifters that don't rotate it is a T500, if not it is a T300. Unless there is a wheel I dont know about these are the only force feedback thrustmaster wheels that work with PS3 /PS4. I'm sure well be able to get you going with emulation one way or another. I cam give you my contact info if you need to get ahold of me directly. I am happy to help so please dont hesitate. If I could emulate the full 13 inputs I will be happy. Of course if I could take advantage of the full 17 or 18 from the board that would be even better. 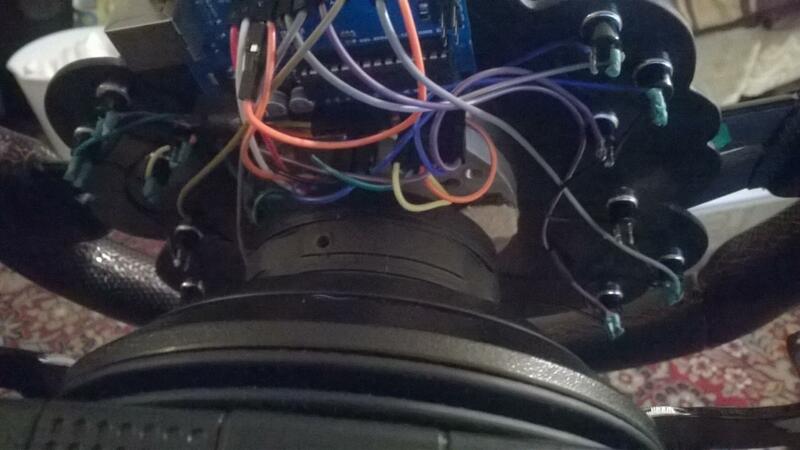 By the way do you know if rotary encoders can be configured in Arduino? or does it have to be all simple open/close/open buttons? 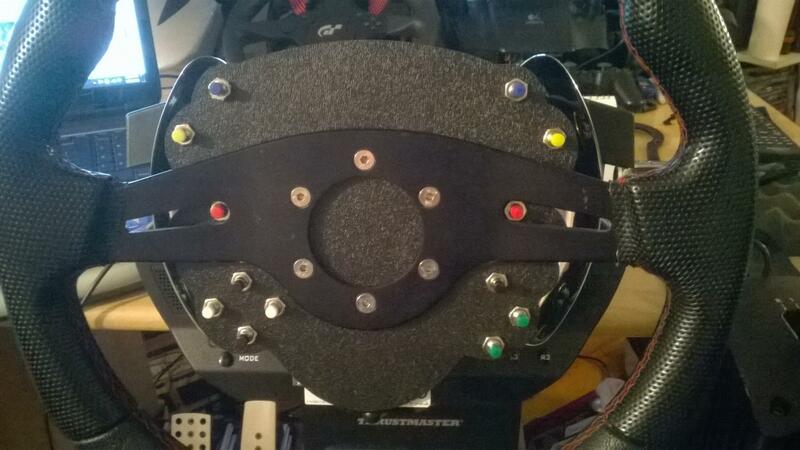 Like I said, I would be happy to emulate the 13 buttons of the GTE rim, at least for now. I am still in the process of making some inquiries to choose which button plate. I really like Ascher Racing ones, they look sooooo good. So once I am sure that Arduino does the job, I will ask him if he can make one without electronics inside so I can connect the buttons to the Arduino. Sam Maxwelldid make some ready to go, superb wheels for the TX base, my guess is he used either the Arduino or one of Henrick boards. But he stop doing them, don't really know why. For now I will wait for the Arduino (should be 2/3 days now). Then if it doesn't work we can talk about the one you have there. By the way is there any wiring schematics for that board? I have not seen it anywhere. Sorry for the delay, I have been sick with a cold lately. I can definitely do what I can to help you with your project. I would expect that the TX rim emulation would be more likely to work as the TX and T300 bases are more alike than the T300/TX and T500RS (which I own). I will be testing the Henrick board soon as well, I have just been busy and my T500 is off my rig right now as I have been doing some testing with me CSR Elite wheelbase. I think that the TX emulation will work though, I'm not 100% but pretty confident. The only reason the TX emulation didn't work on the T500 is because the T500 expects a 1 bit data shift at button press. I can also see if I can test my GTE rim with the TX rim reading firmware I have. If the GTE rim output is identical to the GTE rim that means it is that much more likely to work. Sam Maxwell uses his own proprietary board that he developed and produced for usage in his kits. Unfortunately he does not sell the board separate at this time. I know that arduino can be used with potentiometers, encoders etc however the base only recognizes digital inputs, not analogue inputs. 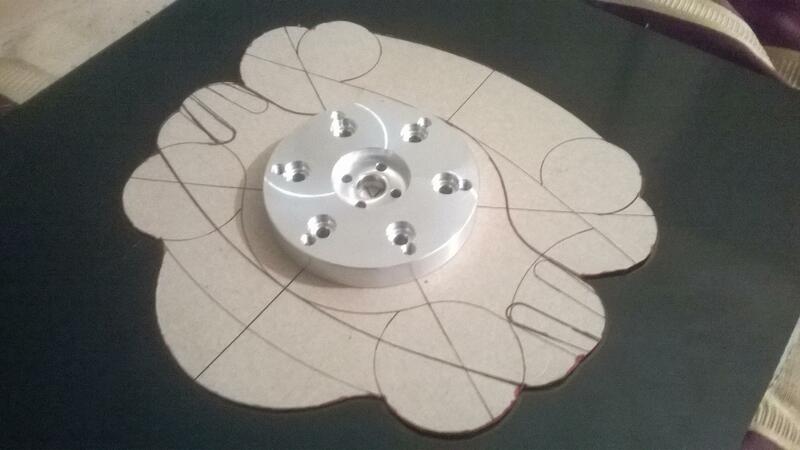 An encoder could be incorporated onto the button plate if it has separate outputs pins for each position (basically each position of encoder would be a button). Arduino can be used for all kinds of stuff, even motion rigs and battle bots! I wouldn't know where to start with much of it though lol. As for the F1 rim, I wouldn't know where to start either, but it would be interesting to learn more. Hopefully well be able to get you going with either a GT rim or TX rim emulation though, at least that will give the option of an aftermarket wheel and button plate. One last thing to mention, the additional buttons on the TX rim simply duplicate the two base buttons, and the paddle shifters of course. The TX rim actually has 17 buttons, the regular 13 buttons that are on the non paddle shifter GT rim + 2 paddle shift inputs and 2 buttons that duplicate the R3 and L3 buttons on the base. So with the 13 button GT emulation you will only be loosing the paddle shifter inputs (which can be mapped as anything in game), the other two buttons will still be on the base, but of course you wouldn't have those inputs on the rim itself. This is why I bought the GTE rim for the purpose of emulating, because it has 15 buttons, 13 regular inputs, and 2 paddle shifters. 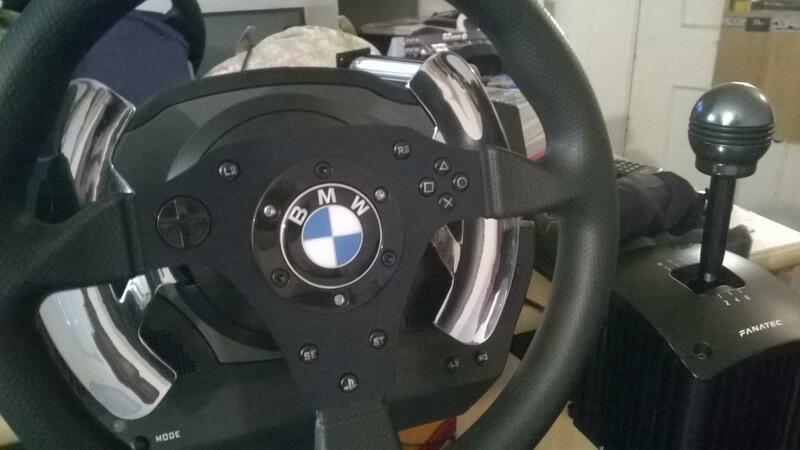 I don't mind not having L3 R3 not duplicated on the rim, I just want the paddle shifter inputs. It would be nice if that new TX board I bought works, Ill have to check it out soon now that there is some interest. I am also still able to communicate with the original writer/debugger of the firmwares, in case we have to troubleshoot. 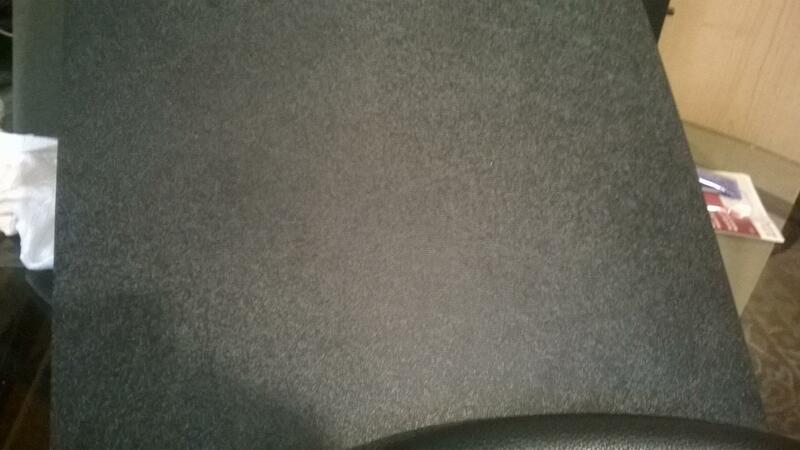 I will private message you my phone number and email so you can contact me easily when you need to.